Edward Miller Estate Auction — Harritt Group, Inc.
10% non-refundable down payment due day of auction, cash balance of the purchase price due in 40 days. Real Estate taxes prorated to day of closing. Possession at closing. Selling as is with no contingencies, all inspections welcomed prior to auction. One-owner 1960’s brick ranch with attached garage on one acre in small established neighborhood located on the outskirts of the city with easy access to schools, shopping and medical just NW of I-265 Grant Line Road Exit off Hausfeldt Lane and Reas Lane near IUS. Also selling 1997 Toyota Avalon 4-door sedan. First offering to the market on this one-owner 1635 square foot brick ranch with 2 fireplaces, full basement, 11’x16’ breezeway and 24’x26’ two-car garage sitting high on one-acre in established neighborhood. 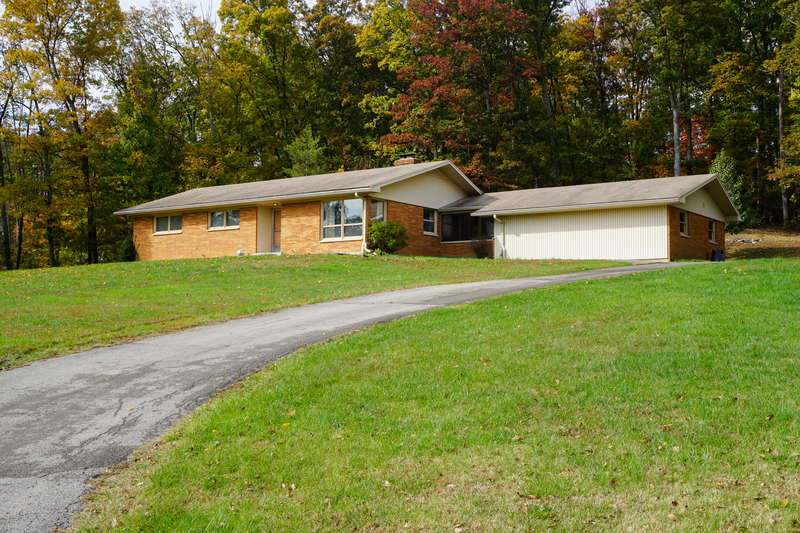 Home built in 1961 features 3 bedrooms, 2 1/2 baths, equipped eat-in kitchen, dining-den area with fireplace plus family room with fireplace in lower level. Easy access to schools, shopping and medical located just minutes to expressway. 1997 Toyota Avalon, 4 door sedan, 158K miles. I-265 to Grant Line Road Exit#3. North towards IUS to first left on Hausfeldt Lane. 1/2 mile to right on Reas Lane. Continue 3/4 mile to auction on right at intersection of Valley Terrace and Valley Dale Drive.